How do I activate Easy PC Optimizer? Alternatively, you can go to the Register page on our website and submit your email address there, then repeat steps 3-5. Will I get free technical support? Yes, Easy PC Optimizer technical support is totally free. Feel free to browse our frequently asked questions, our tech articles, subscribe to our newsletter, or submit a support ticket. Are Easy PC Optimizer updates free? Easy PC Optimizer software updates are free for the period of your license. When your license expires, you will still be able to use Easy PC Optimizer to speed up your computer, but you won't be able to update to the latest version. Get in touch with our Support Team. They should be able to help. How often should I scan my computer with Easy PC Optimizer? 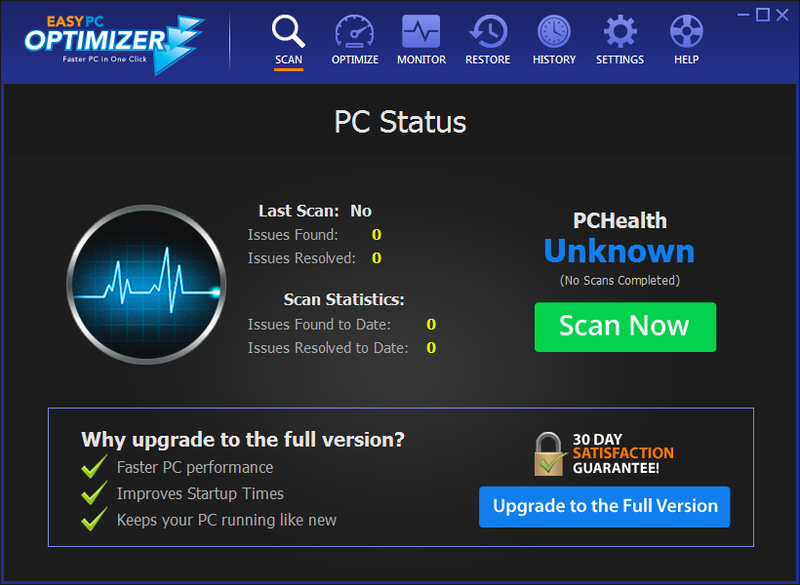 It is recommended that you scan your PC with Easy PC Optimizer regularly. The exact frequency depends on how you use your computer, but the general recommendation is once a week. 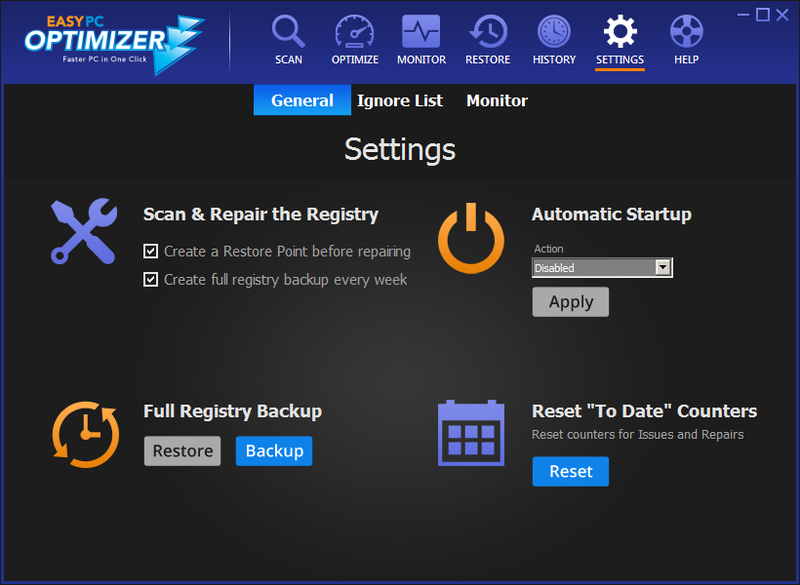 You can go to Easy PC Optimizer Options and configure the program to run on schedule, so that Easy PC Optimizer can clean up and optimize your computer automatically. I don't want Easy PC Optimizer to open every time I start my PC. How do I change this? If you don't want Easy PC Optimizer to start when Windows starts, you can go to Easy PC Optimizer Options and uncheck the "Start on Windows Startup" checkbox. What's the Ignore List for? 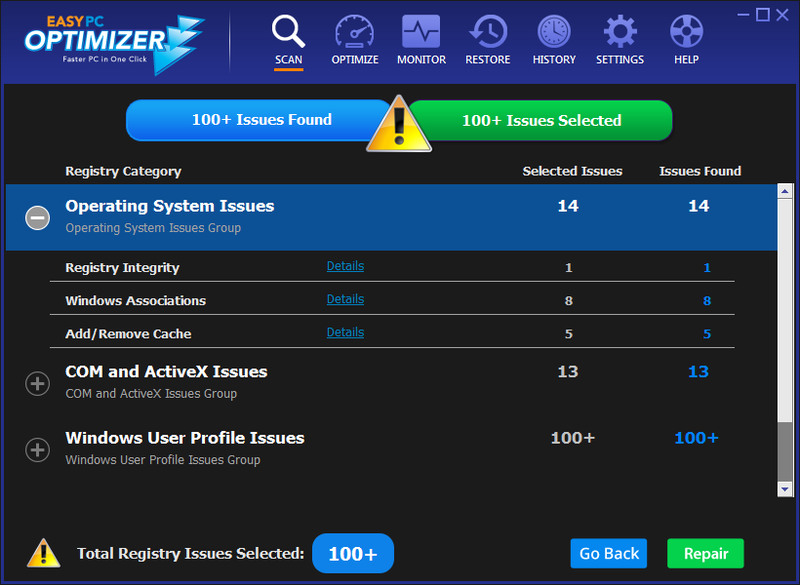 If there is anything on your computer you don't want Easy PC Optimizer to scan, you can add that file or folder to the Ignore List. Once the folders are added, Easy PC Optimizer will not touch them. Can Easy PC Optimizer delete viruses? 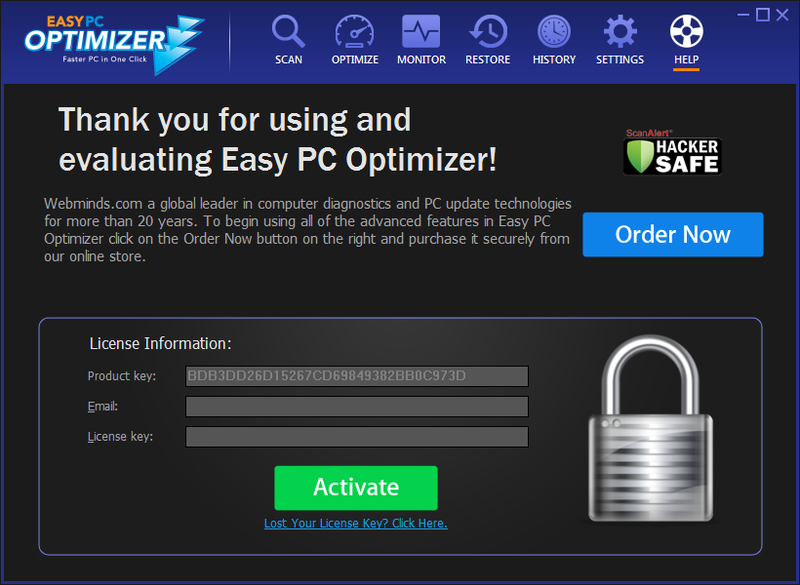 Easy PC Optimizer is not a virus removal program. However, sometimes Easy PC Optimizer can fix some of the damage caused by viruses and malware. For example, Easy PC Optimizer can remove virus leftovers that your antivirus failed to delete from the registry. 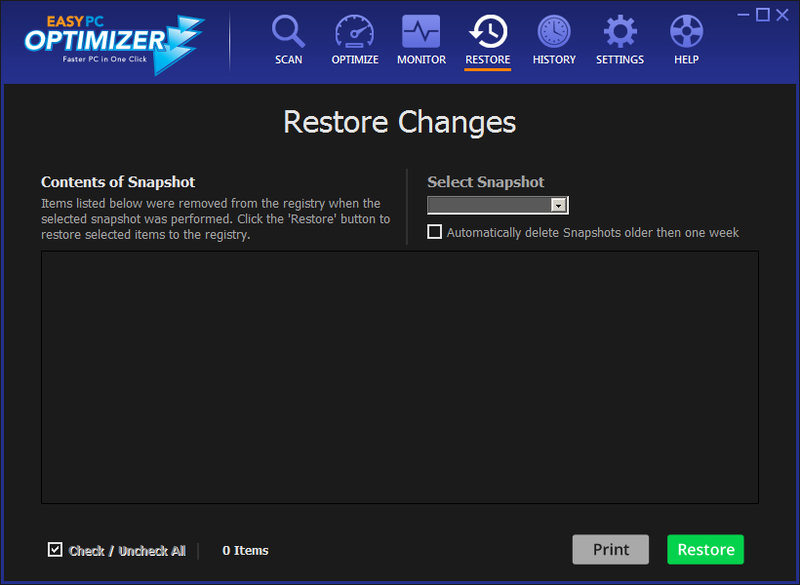 To keep your system virus-free, we suggest using a malware removal tool first, and then running Easy PC Optimizer to get rid of any leftovers and perform general PC cleanup. Can Easy PC Optimizer fix BSOD (Blue Screen of Death) errors? 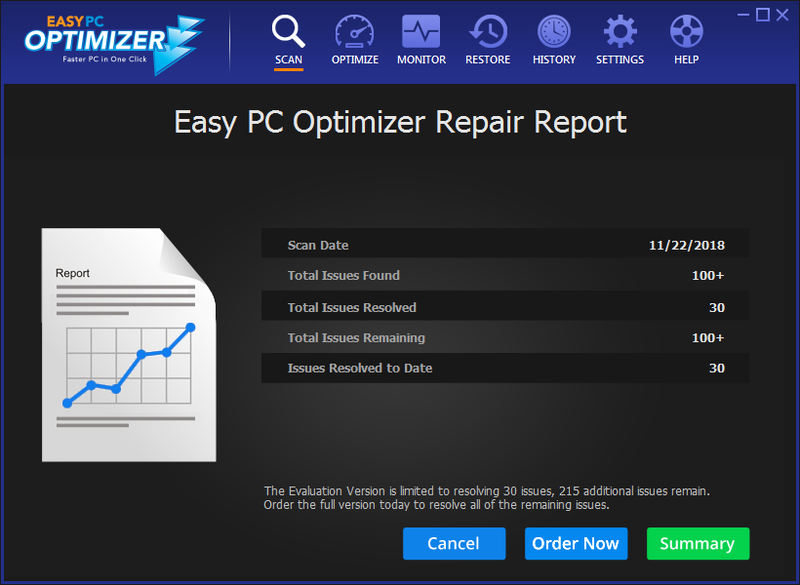 Easy PC Optimizer can fix some BSOD errors, but only software and Windows-related ones. Please remember that most BSOD errors are caused by hardware failures, driver problems, corrupted files, and so on. If that's the case with your particular BSOD, Easy PC Optimizer won't be able to help because it can't fix your hardware and driver issues. If you think that your drivers might be causing the problem, try running a scan for driver updates with Driver Agent. My Internet is slow. Can Easy PC Optimizer help me speed it up? To speed up your Internet with Easy PC Optimizer, select Internet Optimizer from the menu and follow the prompts. Easy PC Optimizer will automatically select the best settings for your Internet connection and this will speed up your Internet quite a bit. Web pages will load a lot faster and your connection will be more stable. Please note that you'll need to restart your computer for the changes to take effect. What exactly does Internet Optimizer do? Easy PC Optimizer's Internet Optimizer tool calculates the best possible values for several Internet connection parameters on your system, such as TCP/IP and RWIN. It then adjusts these parameters to ensure the best throughput for your computer and thus makes Web pages load faster.